The journey started from 1G network is now reaching 5G network. Know about its journey so far, One G Network Mobile has the meaning of live in the mobile network. The first generation of mobile telephone is the first generation. It was a technology based on analog signal and its capacity was very low. First, in the year 1979, 1G technology was used in Japan, the accomplished telegraph and telephone company (also known as NTT) launched it first. Network for the first time, 2G network of mobile was developed in 991; Where there was analog network, digital signals were used in 2G; GSM based mobile technology started from Finland for 2G while CDMA was used in the US with calling Could only be used for removing but its capacity was very low. After the network 2000 the 3G network began. For this, ITU made the standard by the name of International Telecommunication Union I However, the Japanese company NTT Docomo launched the free commercial service. But it was launched based on the year 2001. 3G network was for both data and call. It has HSDPA HP HP Plus and HPA Standard. Technology started in 2007. But at that time it was tested on Ward Map WiMAX Network. 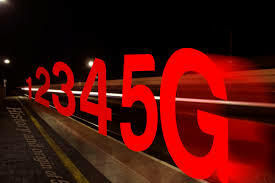 It was prepared by ITU itself, in the year 2008, the DU announced the advance technology for 4G. Since it was a 4G technology based on GSM, there has been two technology, including FDD and DD for 4G, seen in the development. Both technologies are used in India. कितनी बदलेगी इंटरनेट की दुनिया? Version 5G is the networking technology of the fifth edition of Cellular Mobile Service, which is known for super fast data service, although 5G was started since 4G, but special progress in this field was seen after the year 2017 The ITU (International Telecommunication Union), a company that develops the leading mobile telephone network technology, has a 3gpp third generation partnership project. Under the declaration of Standard for 5G in December 2017, the organization named the technique ITU IMT 2020 (International Mobile Telecommunication-2020) and has also announced the people for it after the standard set for 5G The way to make all types of equipment, including towers and cleaners, has been cleared, on the other hand, it is also possible to manufacture 5G phones after the 5G standard has been made by Sony, Nokia Samsung ,LG, Huawei and ZedTE .Many companies, including the commitment to launch 5G phones by 2019, have demonstrated that the 5G network of mobile works on technical low frequency and can be run from Omega to 6 customer networks where maximum speed of up to 4G is up to Mbps. At the same time, the 5G speed will start from 1gbps, in such a way, you can think of yourself how much it will be, not only that, the maximum data speed on the 5G network is up to 20 GBps. After learning about 5G, you might have been thinking about how much it will be different from 4G. So tell you that 5G is considered 20 times faster than 4G. While the maximum speed of 4G is up to 600 Mbps, the 5G has 20 Gbps. Not only this, it has been considered less power consuming than 4G. Its potential can be estimated by this. If 5G data is played on full speed, then full HD movie can be downloaded in 1 second. At the same time, in terms of latency rate, it is far ahead of 4G. The time taken to deliver data packet from 1 point to second point is called Latency Rate, 4G is 10 milliseconds, whereas 5G has only one millisecond. 4G is known for video streaming and video downloads. The same will be known for the same 5G service machine learning and machine to machine communication communication. After the arrival of 5G, the services like I and Smart Ho will grow very fast. Not only this, the car with no driver and multiplayer video gaming will also be realized in 5G. Although it is believed that after coming to the 5G, there will also be considerable changes in the help services. Not only the network operator, but mobile manufacturers have also waited for 5G and it is believed that 5G services will be knocked by 2019. However, there is also the question of where the first 5G network will be started, so far the technique has begun from European Japan. But this time China has even raised its grip, China may start 5G first. The position of 5G in India is so far said that in India the technology is far behind other countries. We were around 10 years behind the delay of 15 years in the mobile service i 3G service. European countries started launching 3G services in 2001. But in India this service came after 2011, although there was not much delay in 4G, it was around 3 to 4 years behind. Yes, maybe this is not the case in 5G. Reliance Industries Chairman and Managing Director Mukesh Ambani announced in the beginning of its 4G service in the year 2016, that the Geo Network is 5G Ready, the company has compromised Samsung for the development of 5G. Airtel is not too far behind in this case. The company has entered into an agreement with Chinese vendor Huawei and established India's first 5G Experience Center in Manesar in Gururgram. At present, it is in training. India's government initiative BSNL has also announced the announcement of 5G, in such a way that India is fully prepared for 5G. When will the 5G device? 5G has also been made big in the device area. Mobile Chipset manufacturer Qualcomm had demonstrated 5G chipsets in the year 2017 itself. X50 5G chipset was created by Qualcomm, which was able to support data connection at a rate of 1gbps per second. This year, the company has introduced an updated version. Which is not only advance, but has also become much smaller than before. Motorola has started the 5z device with the Moto Z3 to get the device going. Also many companies are about to launch. After Motorola, Xiaomi has also stepped into the mix from 3:00 to 5G phone area. However Mi Mix 3 has just launched in China. But this is a great effort in the field of 5G. Qualcomm's 4G / 5G Summit In 2018, OnePlus has informed that the company's phone will be ready for launch in 2019. 5G support in One Plus 7 is believed to be that this phone may be based on the Snapdragon 855 chipset of CallMeck. Vivo has also said to launch its 5G phone by 2019. In such a case, the company can start the 5G phone from V13 or Next series. During the recent Qualcomm event, companies like Nokia, Sony, HTC and ZTE also gave their 5G phone information.